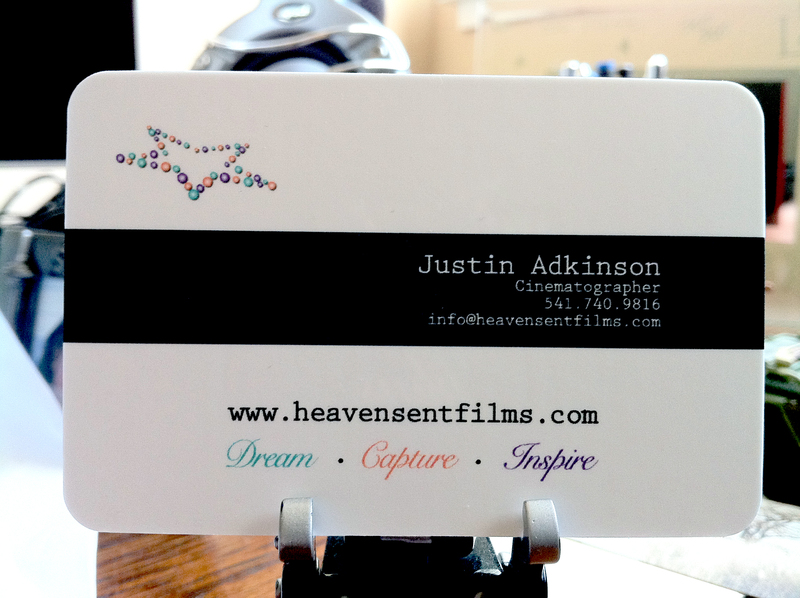 heavensent films ~ Logo and Business Card Design | heavensentfilms blog - film, edit, and inspire others. I just have to brag a little about my wife Ranya Adkinson’s design capabilities. 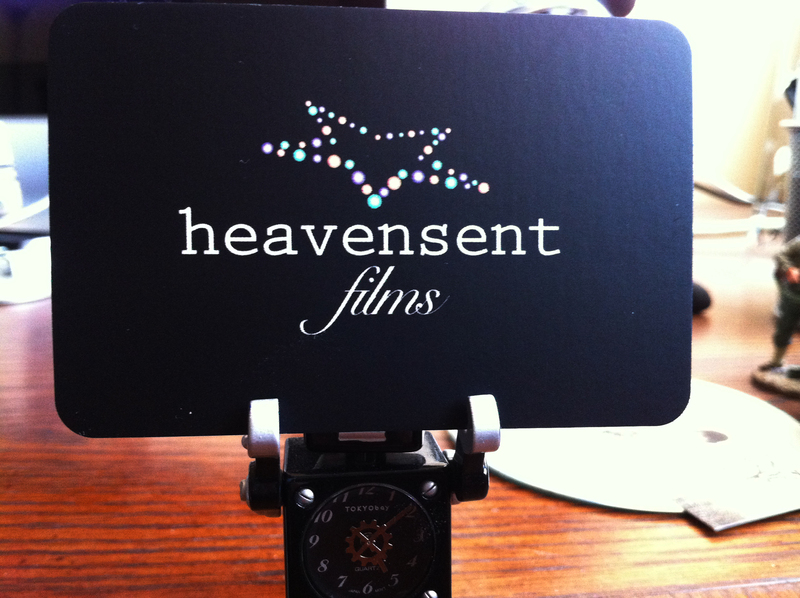 She has made an awesome heavensent films website and also designed a really cool logo too. After designing the logo she then meticulously created the business cards which look amazing! There are pics from both sides of the card. I then asked for the photoshop file with all of the layers so I could animate her design. I think the logo really pops on black but also looks great over white when needed as seen in the animation below. The very simple animation was done in Motion 4 which I then brought into final cut and added to some recent videos as a watermark and ending animation. Looks amazing, great job Ranya! !